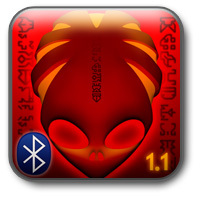 Alien Glyphs is an original arcade survival game, which gives you a chance to join to mysterious culture of ancient alien race by discovering their hieroglyphs language. Now available for iPhone and iPod! While playing you have to find glyphs pairs in time, activating power-ups and fighting against mutators and penalties. You can train all your reflexes to razor-edge sharpness. The more you play the better you feel excitement, the more new unique glyphs you meet, the more wish for reaching the best scores you have. Earn achievements and challenge your friends in the OpenFeint social network! Submit your best scores and compete with players all over the world! Several days ago we made logo movie for our dev team.